Tina Starr has worked for the University of Oregon at the Lundquist College of Business since 2011 and is currently a Senior Instructor of Management. She was the advisor to the Women in Business Club from 2012-2016 and is now a member of the Freeman Foundation Scholarship Committee attached to the Center for Asian Studies on the UO campus. Starr instructs a number of core business and management classes to both undergraduate business majors and minors including Management: Value through People, Managing Organizations, and Human Resources Management. She also instructs the Global Business Environment course for the Oregon Executive MBA program in Portland. 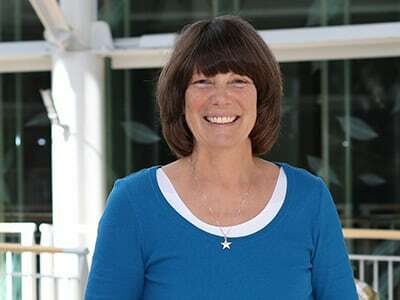 Prior to coming to UO and Lundquist College of Business, Starr worked in the UK from 1994-2010 as both a researcher and lecturer at Nottingham University Business School; Associate Professor of HR at Keele University; and as a visiting Professor at the Leicester University School of Management and also the Manchester Business School - Worldwide Program. She continues to instruct on an ad hoc basis for the University of Nottingham in Malaysia and the University of Vienna in Austria where she instructs International Human Resource Management to upper division and MBA cohorts. Starr has several organizational interests, mainly globalization, international human resources management, and expatriate management. She has published in management journal articles and has an edited book chapter on the topic of expatriate research. She obtained her PhD in Business Management from Nottingham University Business School, MSc in Occupational Psychology from the University of Nottingham (IWHO), and a dual-major Honors degree in Business Psychology with Psychology from the University of Derby. In her previous life, Starr enjoyed a fifteen-year career in law enforcement in Southern California. "Most people don't like change, but I thrive on it," said Anne Marie Levis, MBA '96, in her keynote speech at this year's Women in Business Gala. Starr, Tina. "Intonations of repatriation: A discursive analysis of expatriates’ talk of work after repatriation." In New Directions in Expatriate Research, edited by Michael Morley, Noreen Heraty, and David Collings, 185-205. Basingstoke: Palgrave Macmillan.